Most Big Sky students have heard of the hit song Gangnam Style back in 2013, now it’s not PSY that has come to Big Sky students but many other K-pop artists. K-pop (Korean Pop) is a music genre that originates in South Korea, characterized by a wide variety of audiovisual elements such as, sharp dance routines, fashionable and colorful outfits, and more. Some of the best-known K-pop idols around the world are BTS, EXO, Got7, Girls Generation (SNSD), Black Pink, Twice, Big Bang, Shinee, and many more. K-pop is worldwide, but instead of being liked more in Korea, K-pop is liked more in other countries. K-pop fans are known all over the world because of how dedicated the fans are, the dances, and the amazing concerts these idols hold. Most people won’t even think about messing with these fans because of how dedicated they are to their idols. These fans are not the kind to allow a reporter to write fake news about their favorite idols. The concerts these idols hold is different than any other genres. Really well-known K-pop idols hold huge concerts and usually have the whole stadium filled with their passionate fans. Even before idols hit the stage their fans are doing chants, either the members names or something completely different. Some songs have their own fan chants, the lights go everywhere, and the music starts. When the K-pop Idols get on stage the fans go crazy especially when their Idol starts to sing, rap, or dance. Sometimes doing both singing/rapping while dancing. For some concerts the idols come on stage to do a little intro which can sometimes be some of there songs put together and them dancing to those songs, and the idols going up in front of their fans looking them in the eyes. It can also be just a small introduction such as a video created by the artists company. K-pop has broken out big in America this year. Back in 2013 K-pop was in America with PSY Gangnam Style, and over the years made a comeback into America with different artists. K-pop recently broke out big time in America with the world wide famous boy group BTS. Formed by BigHit Entertainment, BTS, debuted on June 13, 2013 (KST (Korea standard time)), with their first album ‘2 Cool 4 Skool’ which was soon followed behind with their second album ‘O!RUL8,2?’ (Oh! Are You Late 2) which was also released in 2013. The seven-member Boy Group BTS, containing three rappers and four singers, made history with their fandom known as A.R.M.Y (Adorable Representative M.C for Youth). 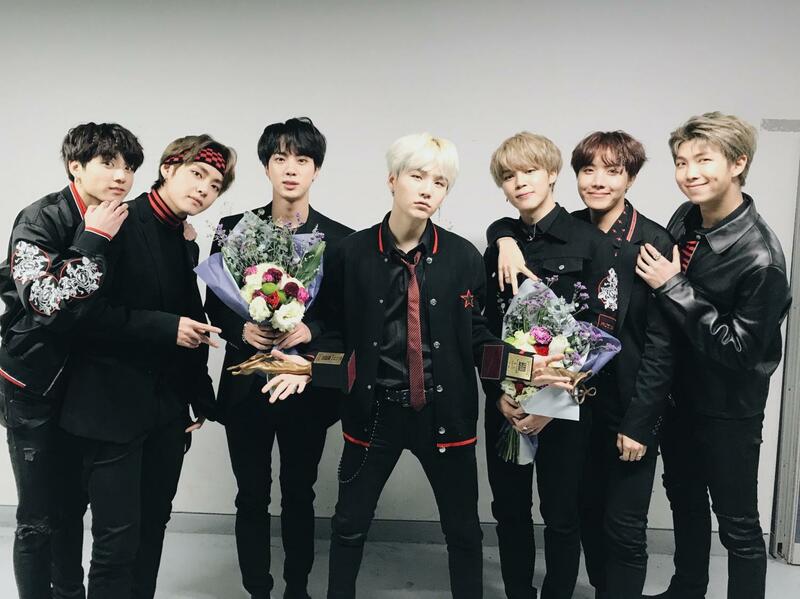 A.R.M.Y has been growing worldwide since BTS won Top Social Artist Award during the Billboard Music Awards on May 25 of last year, with over 300 million votes. BTS made their debut on American TV, November 19, 2017, on ABC at the AMA’s making even more history for K-pop. The only other K-pop idols that have ever preformed on American TV was PSY, with his song ‘Gangnam Style’, on a commercial on Super Bowl Sunday back in 2013. PSY’s ‘Gangnam Style’ is indeed a Korean song, ‘Gangnam Style’ was a hit all over the world that everyone still remembers, because of its catchy beat and dance. Another one of PSY’s hit songs is named ‘Gentleman’ which was also released in 2013. 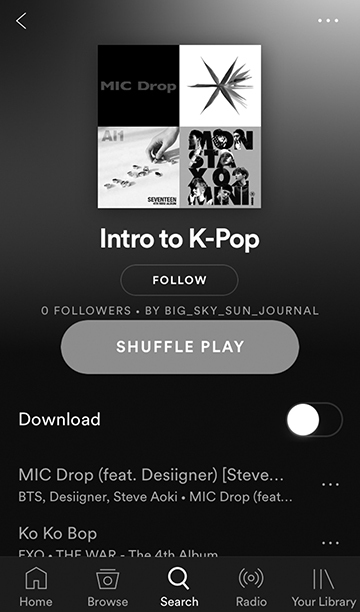 Some students here at Big Sky got into K-pop from the group BTS. “I’ve been listening to K-pop for 6 weeks now,” Lubke shares. “My friend introduced me to K-pop. At first I wasn’t sure about it but the more I watched and listened to it the more I liked it. The first song I heard was BTS song ‘Fire’. Other commonly known K-pop groups. Got7 is another seven-member boy group who debuted in late 2014, under the company JYP Entertainment, with their first album ‘Identify’ on November 18, 2014. Known for their amazing dancing, catchy songs, and acrobats, such as front flips, back flips, cartwheels, and more, Got7 gained a lot of popularity relatively quick. And recently celebrated their 4th year of being together (including before debuting together). However, not all Got7 members are Korean. The groups rappers, are Jackson Wang (born in Hong Kong), Bam Bam (born in Thailand), And Mark Tuan who was born in America but is of Taiwanese descent. They are not Korean but still rap in the Korean language which makes them K-pop idols. Girls Generation, SNSD for short, is a nine-member girl group, formed by SM Entertainment, is one of the most famous K-pop groups in the world. With hits such as ‘Gee, I Got A Boy, Mr. Mr.’, and many more. After their debut on August 7, 2007 SNSD stole the hearts of many people, making them the seventh best selling group in South Korea selling over seven million copies of their albums. 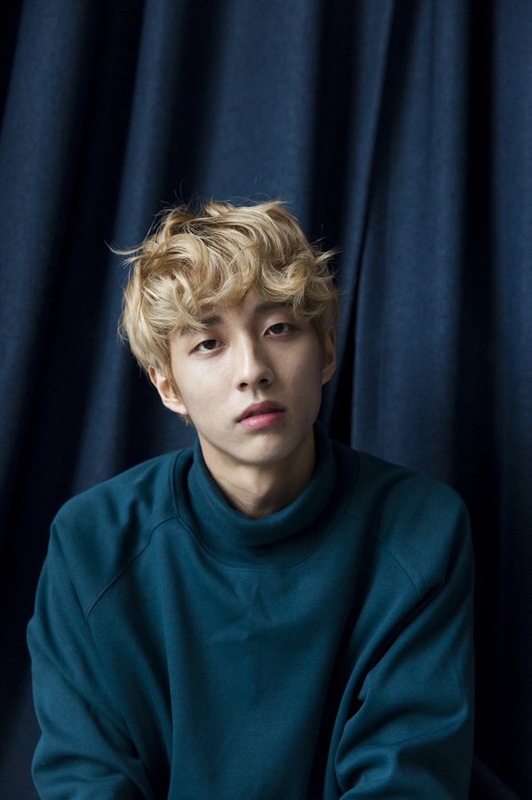 The Newest K-pop idol, soloist Holland, just debuted on January 22, 2018 (Korea standard time (KST)) with his song called ‘Neverland’. Not many K-pop idols have ever debuted as openly gay. This is huge in the K-pop industry and has earned Holland a lot of attention. His debut song, ‘Neverland’, talks about being in a different world where you can openly love anyone you want and not have to worry about what others think. Even with the language difference K-pop fans still love the music just as much as if they could understand the lyrics. only is this huge for South Korea but K-pop as well. This could be the time for K-pop idols who performed to at the winter Olympics to show what their job and country has music wise. K-pop idols, VIXX and EXO’s Baekhyun performed at the opening ceremony. Baekhyun preformed South Korea’s Anthem in front of all the people at the Olympic Games. Not only is this good for South Korea and K-pop idols, but also could be the missing piece to getting North Korea and South Korea on good terms. South Korea and North Korean competed together in the winter Olympics and even walked into the Olympics as one team. Two North Koreans played on the same hockey team with South Korea. This is the first time the two Koreas where asked to work as a team and be friendly to each other, and they did just that!